If you have a Rimage CD/DVD Publishing machine then a Rapid Exchange contract can offer the best value if you are happy to fit the replacement parts or loader/printer yourself. Replacement parts or machines are usually despatched by a next day courier service. 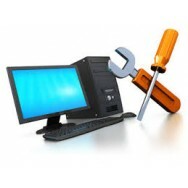 With the advice of our or Rimage's own support helpdesk we can help you help yourself to the repair.